Quick cash system is another free binary options trading system. The guy that put together this new software says that it made him over $1.8 million dollars in 90 days. The worst systems always have the grandest claims, we will see if this holds true today. 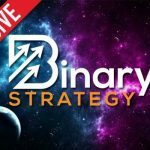 I will be providing a review about this system and letting the Binary Today community understand if this is going to be a relevant tool for our binary options trading plan. The quick cash system is a highly marketed software. The only way we can find out information about the software is to watch a dreadful video that consists of testimonials from customers that claim to be millionaires. The video also contains pictures of cars, houses and tropical destinations. There really doesn’t seem to be anything of substance being provided, just like the other free binary options systems in this market. Most of the footage and images used in the quick cash system video looks like it is stock footage or pictures just taken off of Google images. I imagine if I spent a few minutes and printscreen a couple of these pictures and plug them back into Google images I’d be able to find out that I’m right. As the video continues we see more examples from testimonials showing us their cars and boats that they have supposedly been able to pay for because of their reliance on the QCS. Don’t get too excited, the quick cash system in no way is going to get the binary today recommendation.This video is just a handful of marketing fluff. Don’t listen to all these testimonials because if you look close enough the acting is terrible and I don’t believe any single one of them. They are probably being paid $5-$10 a piece to record a quick video. Please don’t get involved with this one Oreo becoming back to my website and saying I wish they listened to you in the first place.